Produced by the dental techni-cian in an articulator, a dental prosthesis must function with-out a problem for the patient. An articulator is a great way to emulate the patient‘s move-ments, saving the dentist chair-side time and the patient quite a bit of pain. The reproducible centric rela-tion ensures safe starting and end positions of every jaw movement. The Artex articula-tor can discover, check and remove any defects smaller than 20 µm. 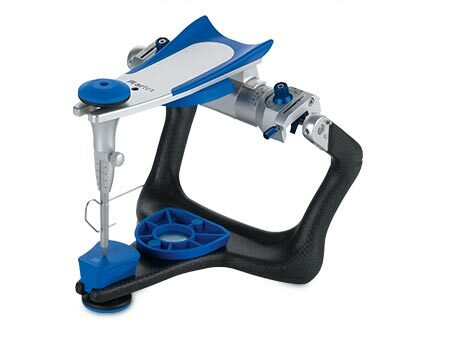 Lightweight, stable, ergonomic and very precise – the Artex articulator facilitates and accel-erates work on the model. It is practice-oriented, reliable and competitively priced. For these reasons, the Artex brand enjoys such a good reputation and its articulators are among the most popular world-wide. The Artex product range employs a modular design and is focused on features that are really necessary.